Our friend Martin Downes in Wales has delivered yet another interview. 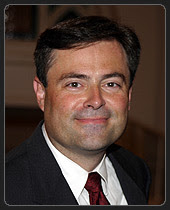 This time with Mark Dever. I recently read N. T. Wright’s Simply Christian because I heard one well-known blogger say that it was the best distillation of Christianity in print anywhere. That’s a bold statement and it made me curious. I’ve also been curious of the phenomenon that seems to purport that the only ones to truly understand Wright are those who are sympathetic to his views….if you’re not sympathetic then you obviously don’t understand him or so the spin goes. and sin before a holy God. but most are, and I just think it’s better to keep the terms distinct. I have made some edits as I’ve continued to study the Acts 2:41ff text. If you’re interested you can go back in our archives (June 14th) to find it. In light of our blog award it is only fitting and a bit ironic that we have very little to say at the moment. For most of our contributors the summer season is one of increased travel for both family and missions. Over the next week we will take a step back from writing here to give ourselves a short break but this does not mean that things here will be idle or silent. I plan to finally get to that series I promised a few weeks back. I will be blogging through Sidney Greidanus’ Preaching Christ from the Old Testament. This book has paved the way for more recent books like Him We Proclaim: Preaching Christ from All the Scriptures. I think these two books have both made valuable contributions but there is also something very unsettling about them both. You’ll find out what I mean when I get around to it in another couple of weeks. Stay tuned. In the interim I would like for our readers to consider a few questions. Please feel free to discuss these in the comments here. We will also try to interact as time allows. 1) What does it mean to “preach Christ”? Furthermore, how is this accomplished in your preaching? 2) How do you carry out your responsibilities as a shepherd? Does your answer to this question reflect what you actually do or what you hope to do? 3) What do you do as a preaching pastor to stay fresh and to keep your perspective clear? In other words what or who ministers to you? Keep in mind that others can be encouraged by your answer. I like the “prepared natural style” when it comes to preaching. Southern Baptists and the elder issue. I say better late than never. It’s not a lamp it’s a major award! On some days Dr. Adrian Warnock seems to be the only gentleman left in Britain who still believes in penal substitution and a lot of other things that we think are important. He loves expository preaching as much as we do and has done his own to uphold the need for preaching amongst his faithful blog readers. So on behalf of the fellows here at Expository Thoughts and our reader(s) we gladly appreciate Adrian’s notice and encouragement to us. May the Lord increase your bandwidth and may your blog posts flow like Cadbury chocolate.